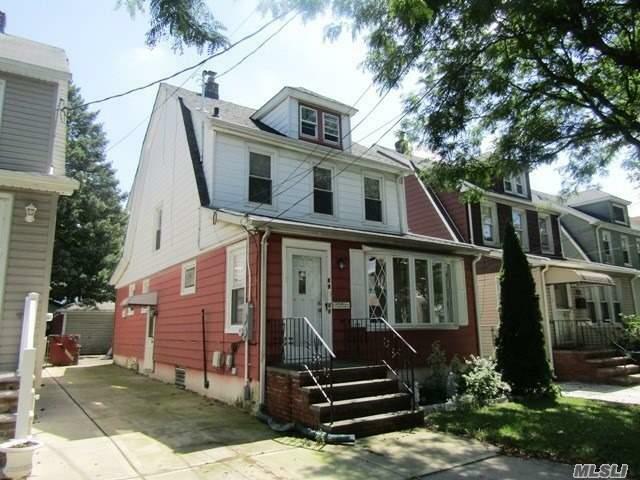 Beautiful One Family Colonial In Bellerose On A Quiet, Tree Lined Street. This Home Boasts 5 Bedrooms, 2 Full Baths, A Finished Walk-Up Attic And Lots Of Closets And Storage This Home Is Great For A Growing Family, Or Mother/Daughter! It Is Freshly Painted, The Basement Is Newly Finished, And The Electric Is Updated. There Is Also A Private Backyard With A Fence And A 1 Car Garage. 2 Family Zoning R3A - Ready To Get C.O For 2 Family.